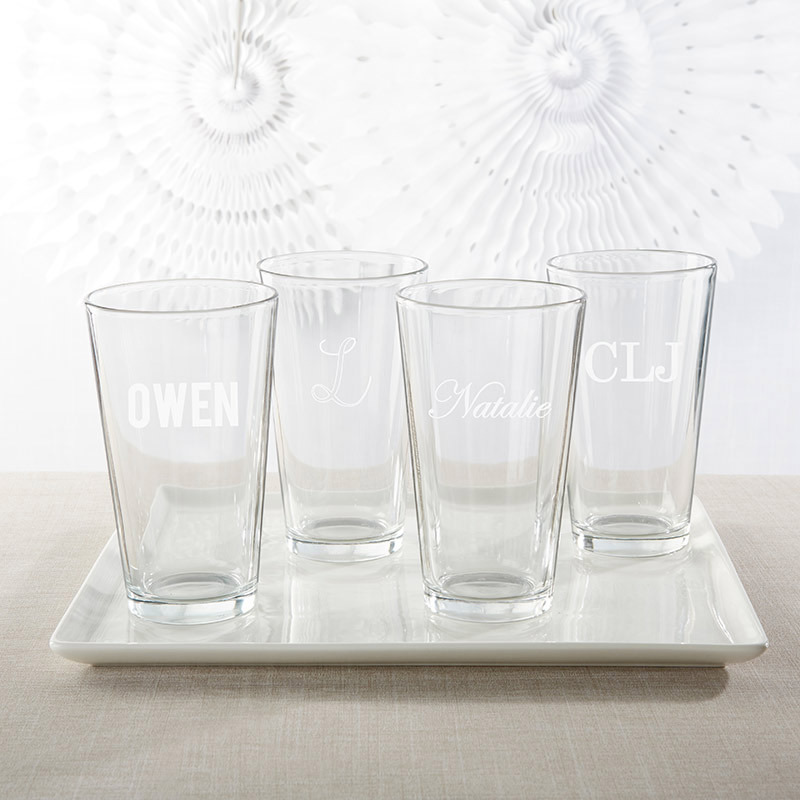 A personalized pint glass is perfect for a great pour during any party! This gift will be cherished among guests at your wedding, bridal shower, or baby shower. 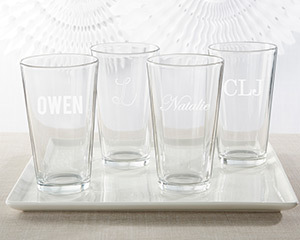 The customized details accent Kate Aspen's Personalized Engraved 16 oz. Pint Glass to toast at your event and can be sent home with your guests as a memorable favor.